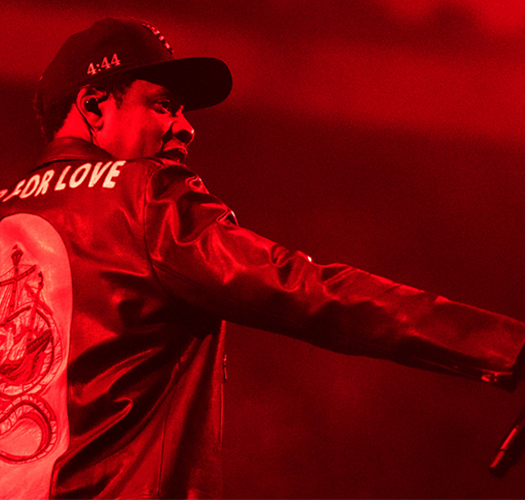 Rappers used to say that “hip hop rules the world” back in the 1980s during a time when mainstream America didn’t expect the genre to live past infancy. However, today, hip-hop lends one of its iconic voices to a contemporary work on Broadway in Holler If Ya Hear Me about the life of Tupac Shakur. Directed by recent Tony Award-winner, Kenny Leon (A Raisin in the Sun), Holler comes alive through the lyrics of, one of the most celebrated rappers that ever lived: Tupac Shakur. For fans of the controversial rapper, Holler is a head bopping ride down memory lane featuring more than 20 of Shakur’s hits, including “I Ain’t Mad at Cha,” “Hail Mary,” and “California Love.” For novices, it’s a chance to get inside the mind of the slain rapper. Raised as a child of the Black Power movement by his mother, Afeni Shakur, Tupac turned to the streets and gang banging as a teenager — a contradiction, indeed. But it is from the complex clash of these conflicting ideologies that we get the kind of prose that went into The Rose That Grew From Concrete and into his music – both used to accomplish the book for Holler. The two act musical opens with John—adeptly portrayed by Saul Williams—spitting lyrics from “My Block” off of Shakur’s posthumously released album, Better Dayz. The Morehouse College graduate was a likely choice for the lead considering his deep roots in the genre. Williams, a poet, actor, and musician, won the Grand Jury Prize for Slam, his film about a poet who aspires to become a rapper. Holler’s book was penned by Todd Kreidler (Radio Golf, Gem of the Ocean), who initially had reservations about the musical. It was Leon who finally convinced him to make it an original non-biographical story to be tied together by Shakur’s songs and poetry. The book makes a valiant effort at keeping the integrity of Shakur’s songs, but falls short of creating a compelling story. 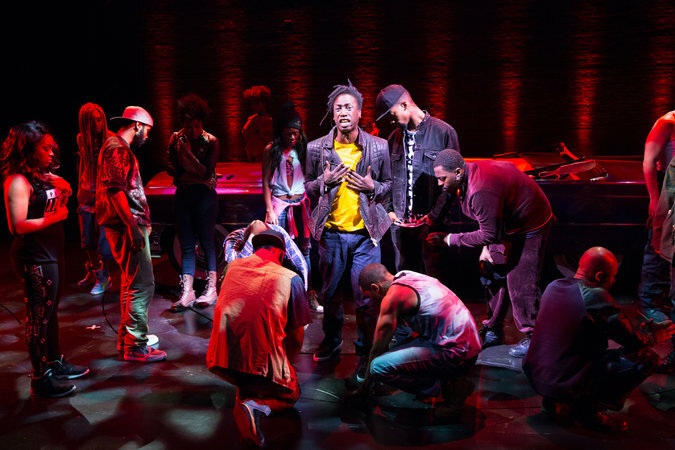 Though the show’s producers make it clear that the musical is not about Shakur, it somehow feels as if the Machiavellian rapper is missing from his own last hurrah. 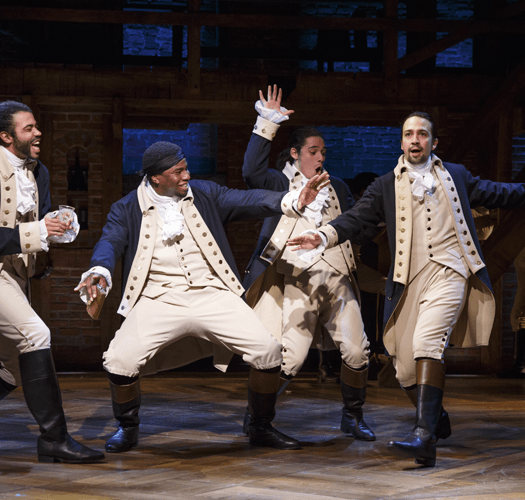 Williams’ rival in the production is the character Vertus, played by Christopher Jackson, an accomplished Emmy Award-winning musician. Jackson’s portrayal is brilliant—look for big things from him on Broadway as his momentum continues to build. Another Broadway heavy-hitter in Holler is three-time Tony nominee Tonya Pinkins, who came to the production directly from Ed Bullin’s The Fabulous Miss Marie at the New Federal Theatre, where she was just that … fabulous. But here, it was Corrine, played by Saycon Sengbloh, who put in the stellar performance. Sengbloh’s Broadway credits include Motown: The Musical, Fela!, and Hair. Of particular note, the ensemble, called the “My Block Chorus,” proved cohesive and rarely failed to deliver the expected harmonization. They re-imagine Shakur’s lyrics as duets, chorales, and trades rap for song. Particularly interesting was Kreidler’s escalation into “Keep Ya Head Up,” performed by only the women in the chorale. Written as a song in support of female empowerment, this riveting number reveals yet another dimension of Shakur’s in Holler.